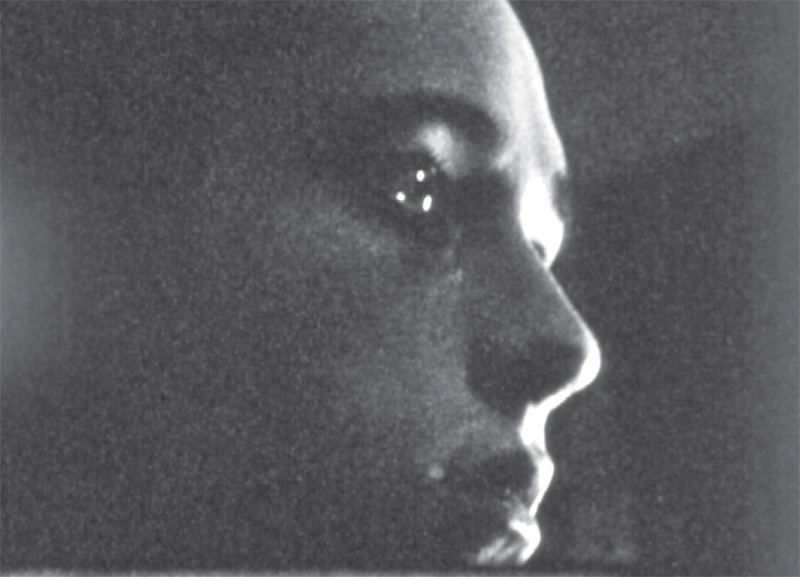 "THE TWO EYES ARE NOT BROTHERS"
Drawing from his own decades-deep archive of small gage film, in "The Two Eyes Are Not Brothers" Treleaven unearths not the narratives, not the intended subjects of his films, but focuses instead on the chance glimpses, the ectoplasmic rushes of light through the open camera shutter, the abstracted single frame that has an uncanny life all its own. 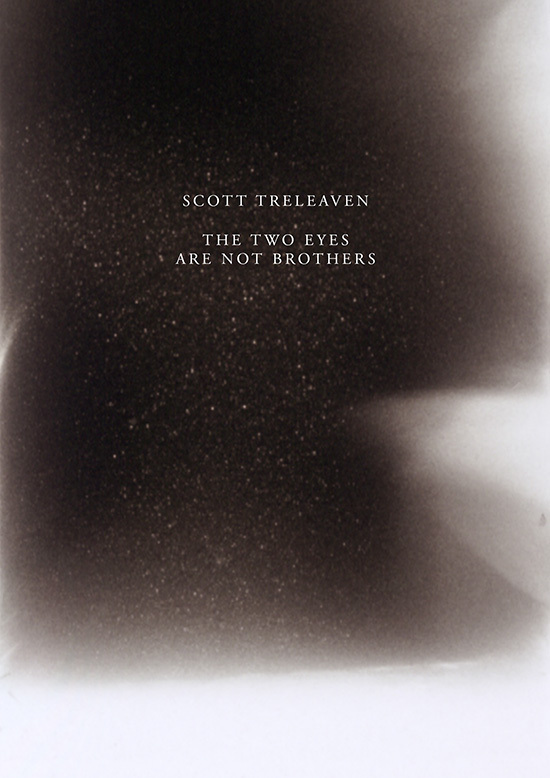 "The Two Eyes Are Not Brothers" is a gorgeous new installment in Treleaven's lifelong fascination with the soon-to-be-extinct ghosts that haunt the analog world. MICHAEL SALERNO: Can you tell me about the title 'The Two Eyes are not Brothers'? 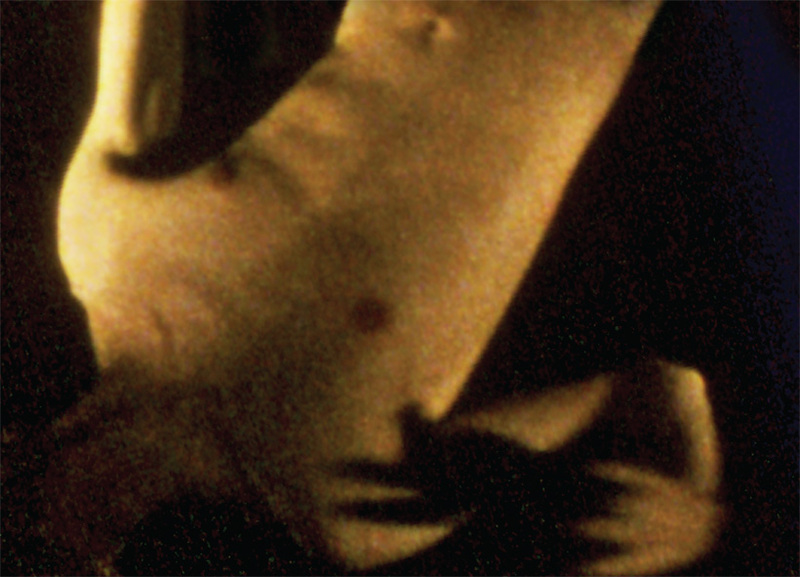 SCOTT TRELEAVEN: The title comes from the Paul Bowles short story, 'He of the Assembly'. In the story a man randomly finds a note on the ground, addressed to him. The contents of the note make no sense, but they contain the line I used for the title. It plunges him into a paranoid state that he tries to escape by getting heavily "kiffed". It doesn't work, and the story gets more nightmarish from there... For some reason that line stuck with me. I had been looking through these super8 films that I've been shooting for years and I began to notice how the camera's eye often brought me images I didn't or couldn't see normally. I'm fascinated by those things that we do without conscious volition. MS: Do images, artworks, etc. exist, already fully-formed somewhere "out there"? Do they, in a way, create themselves or have a mind of their own? ST: In a sense, I think that's correct. Everyone's had experiences where they search for a solution to something, then they forget about it for a little while. And then, when they think about it again, the solution is there, fully formed and articulated. It's quite amazing that these intricate ideas can gestate independently, while our conscious mind is busy doing other things. Sometimes I'll produce some work that I've no real recollection of making, or rather I won't recall how I made it, or how to make it again, and I have to concede that it comes from somewhere inside me that I'm not familiar with. Artists talk about this kind of experience all the time. It seems to be fairly common, in fact. I've always liked Dennis (Cooper)’s use of weird, maze-like houses in some of his books for this reason: you have a psyche that's maze-like and populated with motivations and characters that seem to operate independently from the idea you have of your "self". This brings us back to the title. 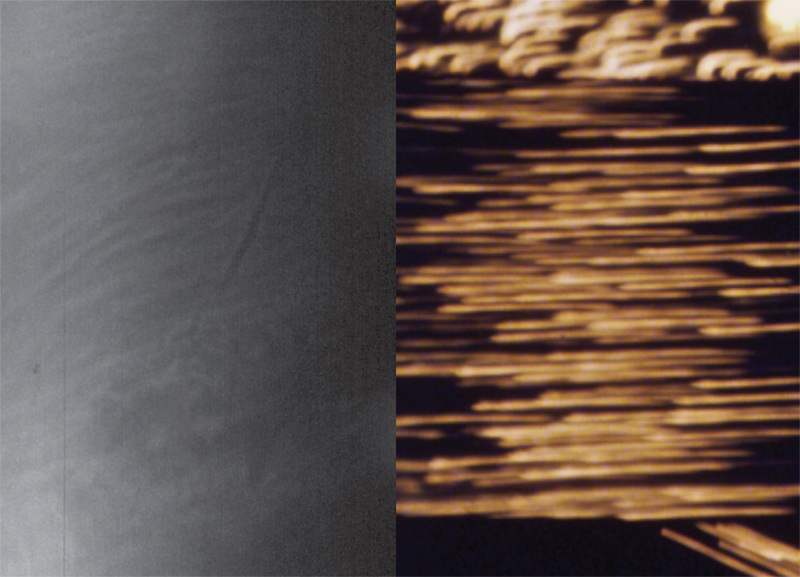 MS: The images in 'TTEANB' were taken over a period of two decades. Are you normally a "collector" of images? Do you have reserves of images laying around that wait for a home or the right context to place them within? 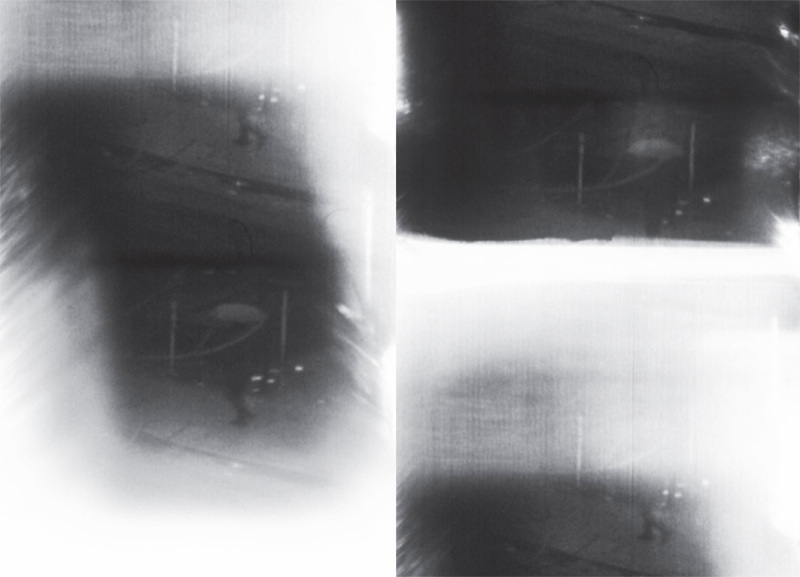 ST: I've been taking pictures, both 35mm and super8, compulsively, for most of my life. So I have a large photographic archive amassed that I can pull from whenever I need to. I suppose I'm more a producer of images rather than a collector. MS: I'm always interested in the way people work - the actual experience or process of creation. There's an aspect of all this that is deeply personal, almost alchemical and these things can't really be spoken about, but the more mundane aspect of working - Are you methodical? Are you constantly creating work or do you do it in bursts? What's your daily experience of creating art like? Can you describe it to me? ST: It really depends. I tend to work very slowly, on a number of different things at once. There are times when I have a clear idea of what it is I need to do, and things unfold really easily. Other times, I'll spend days, literally, just pacing around in front of whatever I'm working on, trying to resolve it. But because I've always got my hands in different media, and because my brain, for better or worse, leaps all over the place, the only way I can create any kind of stability is to try and keep a practical schedule. So, typically I get up around 8, make some tea, catch up on email and the news. After about 10am I'm in the studio. No guests. No phone calls. Ideally, no email either. Generally, I don't even like to talk to people during daylight hours when I'm working. Really, it's the only way I can get things done. MS: I've noticed a gradual shift in your recent work, where the figures that were always very central to your work are slowly fading into the background and the work is becoming more abstract. In a way, it feels to me like a "turning inwards", or a "turning outwards" actually, as the inner becomes the outer. This also feels like the case with 'TTEANB' where we have two very distinct worlds, presented respectively in each of the two books. ST: My work has definitely shifted. A few years ago I started to find that the more literal imagery I was using couldn't convey the subtleties, or ambiguities, of the things I really wanted to talk about. All of the things I've always been concerned with are still there in the work, like the dissolution of ideas like "outer" and "inner" for example, but I felt obligated to make my conversation with the viewer evolve somehow. Having ‘TTEANB’ divided into two books, for example, plays on the idea of the polyptych; making information stretch over actual, physical space, extends the kinds of things that intrigue me about collage. MS: What are the things you "really want to talk about"? ST: That's something that's always in flux. There are certain principles and ideas I keep returning to, though. Certain ideas form a kind of bedrock for what I do, but then there are other ideas I like to keep in play simply because I'm afraid we'll all forget them if I don't. And I'm not talking about acts of simple nostalgia. Part of it also constitutes an active kind, or particular style, of attack on certain values or presumptions, too. MS: Okay, lastly, have you ever fantasized about having an identical twin or doppelganger? ST: My own twin? No. Never. Other people's, yes. But when I was a teenager I supposedly had a doppelganger. We never met, but for years people would tell me they saw me places I hadn't been. Eventually I discovered that his name was Brandon, and some friends confirmed that he was almost identical. The oddest thing was that I had really long hair at the time and when I eventually cut my hair, so did he. Features two 20-page zines, packaged in a custom-made slip-case cover. Risograph printed in B&W and Colour.